AZA Care Management and Home Care specializes in serving the older adults, adults with physical limitations and mentally ill populations. We are one of most established and prestigious Care Management and Aging Life Care practices in Massachusetts. We offer professional, compassionate and personalized attention to each and every client. We provide comprehensive support and services with an unmatched level of expertise. We propose the best possible outcomes for all of our Clients, whether geriatric, those with early onset Alzheimer’s or other psychiatric illness, that help them live healthier and more independent lives. We can save our clients time and money by putting the right plan in place the first time and reduce hospitalizations. AZA treats all of its Clients with the respect and dignity they deserve. And, central to our mission, we afford loved-ones’ peace of mind. AZA is known nationally for handling “the difficult cases.” By providing innovative Care Plans and executing them with acumen, our Clients’ care needs can be fulfilled in a professional, efficient and expeditious manner. AZA’s clinicians also have a large network of resources to support our work and to assist us in creating the most appropriate result for each Client and family. We consult with Clients who suffer with cardiac disease and strokes, cancer patients, neurological conditions such as Parkinsons and Multiple Sclerosis, among other infirmities. 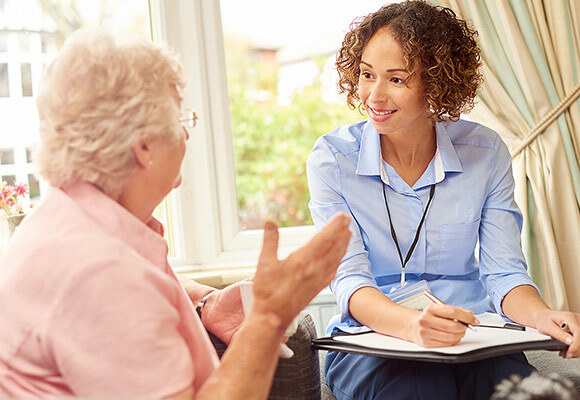 At times of uncertainty or when you or a loved-one is overwhelmed or in crises, AZA’s Care Managers are well-equipped to navigate the needs of our Clients and find the best solution to enhance their quality of life.